The NWS Storm Prediction Center provides a map of active tornado and severe thunderstorm watches in the United States. 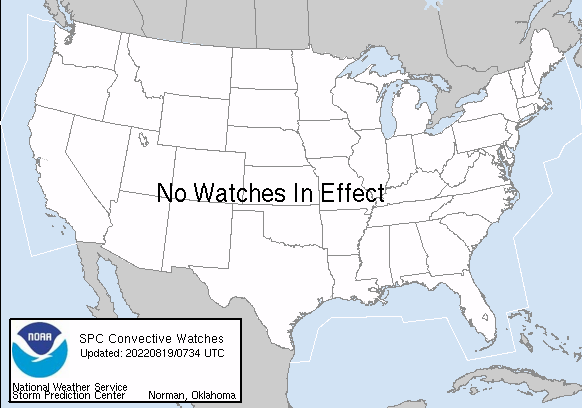 BLUE boxes are severe thunderstorm watches, and RED boxes are tornado watches. This map is updated continuously. The NWS Storm Prediction Center provides a real-time map of current tornado touchdowns, high winds, and hail strikes for the U.S. These images are updated regularly.